and finally, the third part of my freelance job took me out west; specifically, las vegas to salt lake city. the first stop on our road trip was the valley of fire state park. after living in the desert for a couple of years, i've really come to appreciate the beauty of desolation. 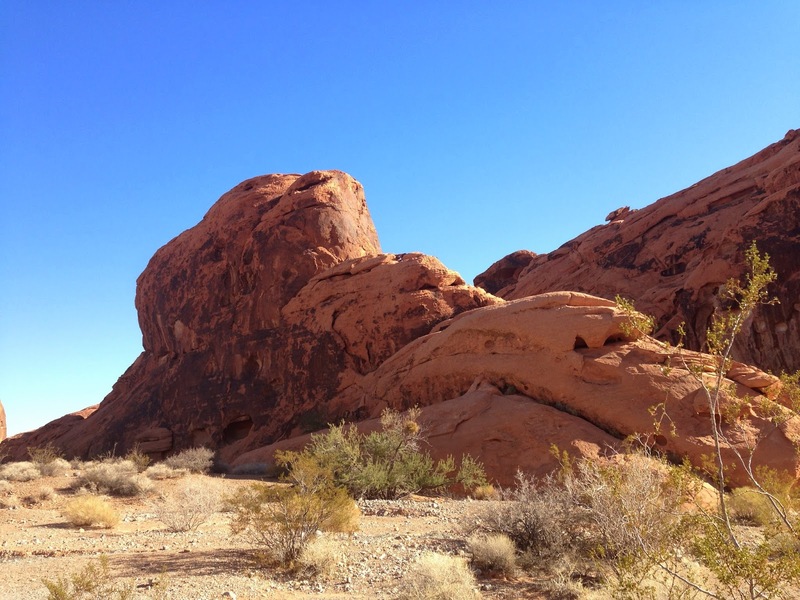 much like the sonoran desert, the land surrounding valley of fire is a flat, brown place, but as you drive into the park, your car is suddenly surrounded by giant sun-kissed boulders that seem to rise out of the earth. it's shocking to see them, they appear to be haphazardly thrown about as if giants had been playing a game and left their toys strewn all over the desert floor, and the color of them brings to mind an alien planet. we missed sunrise by an hour or so, but i can only imagine that that's where the park got its name. because even in the harsh light of day, the entire valley of rocks and boulders truly did look like they'd been kissed by fire and set aglow.